Sweet honey.... is in fact not pollen or nectar, but bee vomit. Across Newcastle this fact seems to be having no impact on the ground swell of urban bee keeping. Bringing sustainability to the suburbs by feeding and pollinating local gardens, Urban Hum is at the heart of creating a truly local food source, all be it of vomit. 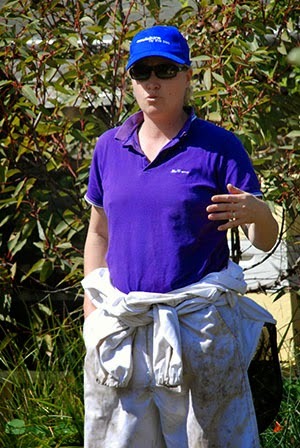 An initiative of Kelly Lees of Mayfield, it began for this self proclaimed insect nerd, in her small backyard. 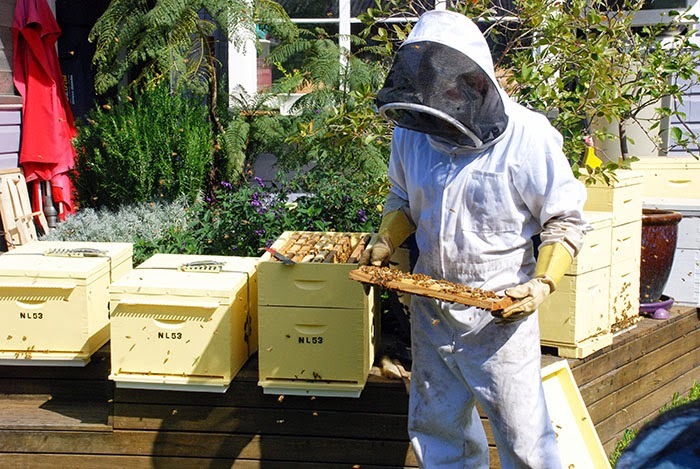 On Hunter Organic Growers visit in September approximately ten hives hummed to the tune of urban bliss, so naturally it’s no surprise that Kelly outsourced additional hives to new hosts in the Newcastle region. 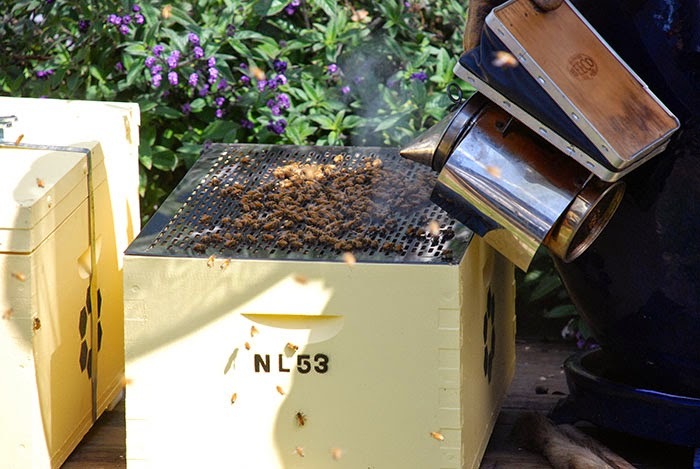 24 hives call home in 24 locations within a 20km radius of Newcastle, keeping her busy with the bees particularly in spring time when the hives are split to make more. A swarm of bees is in fact not dangerous, as they are in a delirious state after gorging on honey.... somewhat like a Saturday night out for some? If you see a swarm call a bee keeper, as they are in search of a new home. 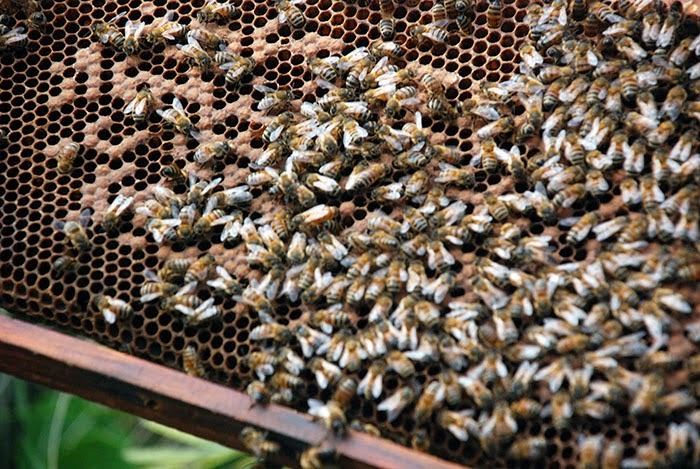 In this state they begin to waggle dance as they vote on the location of a new hive (the more vigorous the waggle, the better the local food source). 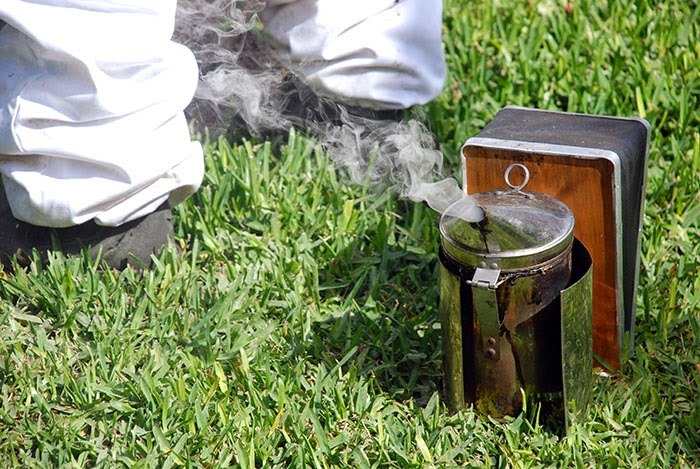 Kelly demonstrated the splitting of a hive, how to calm them with smoke (it’s not known why this works but don’t be in a bad mood when bee keeping, they’ll pick up your vibe via your pheromones and get nasty! 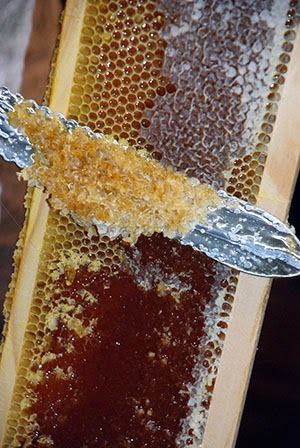 ), and how to construct a super ready for honey ‘growing’. And of course what we were all waiting for (at least until I discovered the true nature of honey) the tasting of the bee vomit and honey comb! Yum, yum! The flavours vary with the seasons and are infinitely complex, no doubt a trademark of the variety of forage available in the urban landscape. 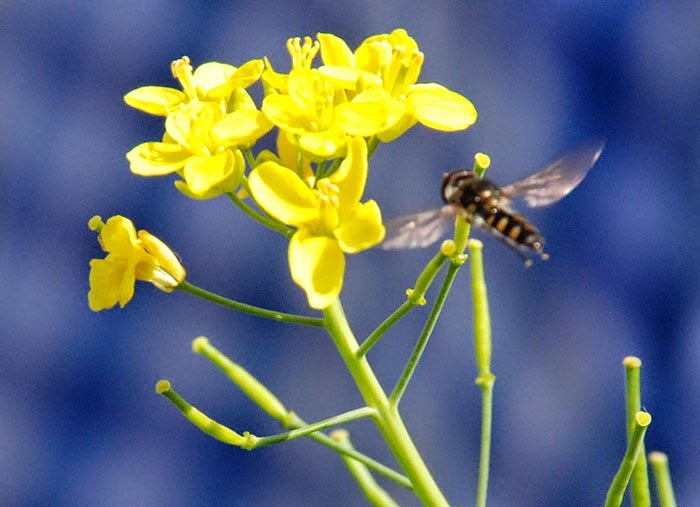 Keeping your own hive is a wonderful addition to the organic garden and a great way to support these pollinators that are crucial to our food production. Visit www.urbanhum.com for more info on how you can be a part of this project.